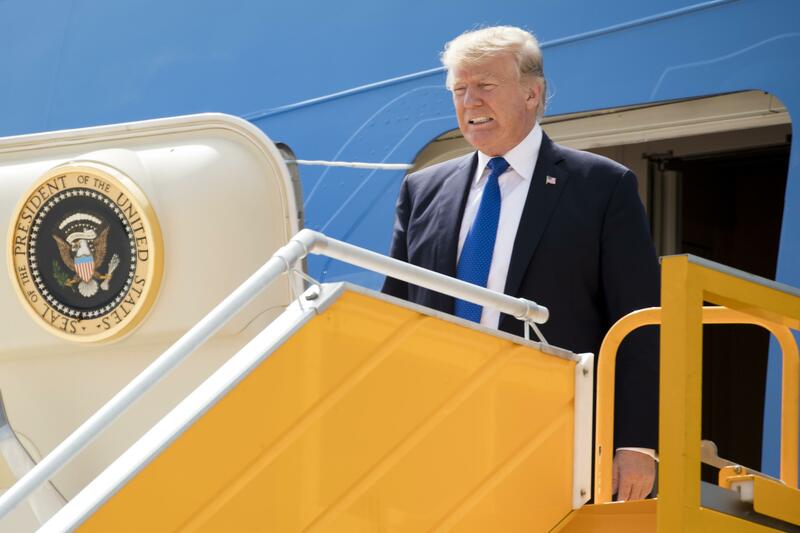 DANANG, Vietnam – President Donald Trump stood before a summit of Asian leaders keen on regional trade pacts and delivered a roaring “America first” message Friday, denouncing China for unfair trade practices just a day after he had heaped praise on President Xi Jinping in Beijing. But Trump added forceful complaints about “the audacious theft of intellectual property,” `’massive subsidizing of industries through colossal state-owned enterprises,” and American companies being targeted by “state-affiliated actors for economic gain” – without singling China out by name. In a major breakthrough, trade ministers from 11 nations remaining in the Trans-Pacific Partnership – representing roughly 13.5 percent of the global economy – said Saturday they had reached a deal to proceed with the free-trade pact after it was thrown into doubt when Trump abandoned it. Published: Nov. 10, 2017, 10:05 a.m. Updated: Nov. 10, 2017, 9:31 p.m. Tags: meeting, Putin, Russia, Trump, U.S.